Accidents can often damage doors and windows, especially in domestic environments. Sometimes, broken doors and windows can’t be avoided, and when this happens, you need a reliable and efficient repair service that you can trust to repair your products as quickly as possible. Our repair service can offer our clients the security and high quality service they need when they’re looking for repairs. We’ve performed a multitude of repair works in the past, and we’ve built up a fantastic and reliable reputation over the years. There’s nothing we want to provide our customers with more than the top quality level of service we’ve been able to provide the rest of our customers with over the years. By giving our customers the same level of dedication and effort we would give to products inside our own home, we can be confident that our customers will be pleased with the service we’ve given them. When you need us to provide you with our assistance, we keep up constant communication with our customers so that we’re certain we’re giving you the level of repair you need from us. 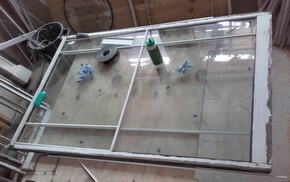 Only you know exactly what you need and how we can repair your window or door to your specifications. We’ve worked with numerous homes, companies and public buildings to offer our customers a perfect repair job. As well as repairing numerous doors, windows and safety features, we also offer a maintenance service; if you suffer from long term damage such as rot, or if you’re in an area that frequently invites small knocks and scrapes, like a neighbourhood or household with numerous young children, this service can be especially useful for you, as regular maintenance could save you a lot of money in the long run. When repairing windows, we keep a variety of aspects in mind. We want to be able to give our customers the very best level of service, and to accomplish that, we make sure that every part of our clients’ windows are in good condition. There are numerous ways a door can suffer damage. When this happens, whether it’s a small knock against the wood, or a broken handle, we’re able to provide our customers with a quick and reliable repair service.